Bengal Cat Forums • View topic - Fred and Ginger (females) Only 8 weeks old??? Post subject: Fred and Ginger (females) Only 8 weeks old??? Two weeks ago I put down a deposit on two kittens through PayPal and today I went and picked them up. I did a ton of research on the Bengal breed, but now I have concerns about the breeder. I knew I wanted a pair because I live alone and have no other pets a single kitten would be lonely or bored and that's a prescription for disaster. The lady didn't want to sell me a pair from the same litter but two of her queens had litters 2 days apart. Perhaps her high rate of breeding should've been the first red flag? She sent me pictures of available kittens and pointed me toward her website and facebook page to see past litters. She claims that all of her cats and kittens are TICA registered, but I have no proof of that and don't know how I look that up. What I am most concerned about is that she sold me two kittens that are only 8 weeks old, have had none of their shots nor have they been wormed. I only have her word that they've seen a vet. I signed a contract that was half a page long saying that I wouldn't let the cats roam, if I couldn't care for them anymore I'd return them to her, that I would have them spayed, and what shocked me about the contract was the part that said if I was going to have the cats declawed I'd contact her first. I know that declawing cats is legal in this state but who does that! She then told me when I take them for their shots to tell the vent to only give them the feline distemper and rabies vaccines because they have never been exposed to any disease and the other vaccines would be "unnecessary" I was told that after I send her proof that the kittens have been spayed she would complete their TICA registration and send me papers. I, foolishly, didn't ask her about the bloodlines of the parents or ask to see any papers on them. On the contract, it states that I bought female kitten of: stud/queen then the same for the second kitten. As I was leaving 4 large huskies came bounding up to the fence and I found out that she also breeds them and sells the puppies. None of the animals I saw there were mistreated, they were well fed, everything was clean, they had room to play and socialize I "met" all the cats she had except one female who had been separated from the rest because she was coming into heat and would be bred soon. Do I have anything to be worried about here? all the aminals I saw were happy and healthy but I still have concerns and I'm not sure what I should do. I don't know if it's permitted for me to discuss prices, if not I apologize for breaking a forum rule, but I paid $3,400 for two kittens who are just barely old enough to be separated from their mother and haven had the basic veterinary things that I see all other Bengal breeders say they do to their kittens before letting them leave their catteries. Please share your opinions if you read through all this long post. Thank you. Post subject: Re: Fred and Ginger (females) Only 8 weeks old??? Welcome to the forum. It would help to know the name of the breeder or cattery. I can check and see if they are TICA registered. Also, you can PM me links to their website and Facebook page. I have a very large (42,100) database of bengal cats so I may be able to tell you more information about the breeder by researching her cats. Eight weeks is just too young for bengals to be let loose from their mom. You paid a tidy sum of money for two (many will offer a discount to take two). But, hopefully I can relieve your mind a little bit if you give me some information on the breeder. Just know that many breeders also breed dogs, and other breeds of cats. The main thing is that you are happy with your babies. My recommendation is to have them fixed by the time they are 16 weeks old. Early spaying and neutering is fine and it will prevent some behavioral issues down the road. Many breeders have this done before they hand out the kittens. Trying to get TICA papers after the fact can be difficult, depending on the breeder. As for the vaccines, did she not provide you with any medical history and information? Then I'm guessing your kittens have not had any of their vaccinations. And they will need to start -- just like kids, they need multiples at different ages. Let your vet guide you through what is needed. But that's water under the bridge. Being a purebred buyer for the first time is confusing as heck, and it's a learning experience. If there is an next time, you'll do better, but those cats should be your focus now. Forget the breeder, you are done with them. Focus on the cats you have instead of worrying about the ones that you could have had. Don't compound your errors by now being a bad cat pet parent who is more worried about some sort of revenge against the breeder, that shouldn't be your concern anymore. Sherry's advice is good. Start by finding a good vet (and now is a good time to use your improved researching skills), and just be honest with the vet. You bought these cats, you bought them from an irresponsible breeder, and you don't have records. Let them come up with a game plan with you as to how to go forward. 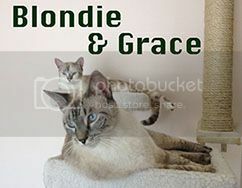 Bad breeders can still produce good cats Especially with the right pet parent. My two cats were rescued from a kill shelter at 8 weeks so know that it is possible to raise kittens that are separated too early from their mother. It's just less than ideal especially with the price you paid. I don't know what to say about the lack of medical history either, that is not the norm even with a rescue kitty. But as Brian said, these were choices you made and now it is time to move forward and take care of your new babies. They will need a lot of attention and you will have to be extra patient due to their early departure from their mother and siblings. The forum is full of helpful information. Good luck. Surprisingly many breeders and rescue groups see no problem with letting a kitten be adopted out at 8 weeks. I think that it sets the cat up for potential problems with socialization and being an adult cat, because the adult cats continue to teach them after weaning. But, stuff happens, and a lot of kittens have been successfully raised from 8 years, but you will have to put in extra effort on interacting with them and making them feel safe and secure right now. Thank you for all the welcomes Caveat emptor as the saying goes. I was so excited to get the girls home that I didn't even think about all the veterinary things until we were already home. I've never had kittens this young before. They've bonded with each other right away. They're coming around to me. They don't try to hide when I come into their room and they love to play, explore, and they're starting to climb already. Once they're settled in and adjusted to their new home I want to work on socializing them a lot more. I live alone so I'm going to have to explore the forms more and see what ideas I can glean from the wisdom here. Happy Fred and Ginger are settling in well. I think it's best these two are in your hands and not the breeder's since she apparently doesn't care a lot about her kittens. This forum has a wealth of information on almost any topic you can think of. There is a search feature you can utilize on the top menu. If you can't find what you're looking for, just ask us.